But dealing with a flat tire isn’t. Especially when you’re on a roadside with one of the car’s tire down. Making it even worse, there’s nobody nearby to help. Then how to fix a flat tire? In such a moment, the best friend of yours is yourself. 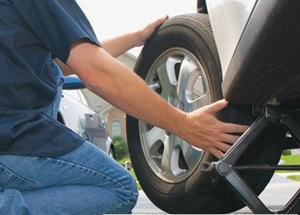 Before you actually end up with such embarrassments, let’s take you through the easiest steps of fixing a flat tire. We’ve spat the entire guide into several easy-to-follow steps. 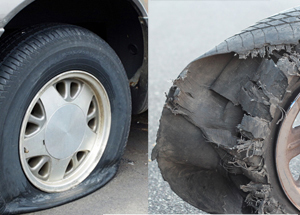 Flat Tires vs. Blowout: How to Differentiate? As you already know, both of the incidents are particular defects in the car tires. But there are some basic ways to understand which one has taken place in your car’s tire. A blowout is sudden and loud. You can sense and sometimes hear the sound of a blowout. A part of the vehicle can be in dip also. And surely, controlling the car towards a safe place is pretty hard. On the other hand, flat tires are a gradual incident to happen. You can’t actually sense or hear it. But of course, you can feel it from the unnatural steering response. Eventually, your car won’t be driven as usual. That’s a flat tire. To avoid blowout or flat tire, always try to use good tire from popular tire brand like Westlake Tire, Michelin Defender, Pirelli Scorpian Verde etc. A spare tire is the best thing to have in the car. In case you don’t have one, there are alternatives. A flat tire won’t repair itself, will it? You need to keep some tools in the trunk of the car. The very basic tools are a Lug Wrench and a Jack. If you have something more like a Hydraulic Floor Jack or a torque wrench. A jack stand can make the process way easier. Now, we are the heart of the article. 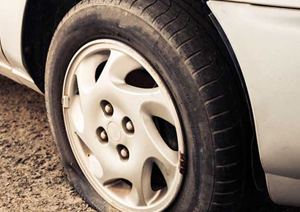 Here we’ll be talking about different cases of flat tires and the essential ways to deal with them. First of all, the best alternative of a flat tire is a spare one e.g. Westlake tires. But if you’re already five miles away from the nearest car shop, and you don’t a spare tire with you, there are other ways. If the tire hole (caused by a sharp tiny object) isn’t bi enough, there are ways to repair it. All you need to have is some essential tools like the patch kit, or a Floor Jack etc. Use a screwdriver to open the tire cover that covers the nuts of the tire. As done, use a lug wrench to loosen up the tire nuts. In the meantime, place a couple of logs or bricks right with the front and rear tires. This will percent the tires from rolling. If the nuts are loose enough, use a car jack to lift the car a bit. In general, there are spots marked on the car to place the lifter. In case you’re new to this, you can take help from the car manual. Now, if you’ve successfully lifted the car, work on loosening up the nuts more, and eventually take the tire out. In some cases, the tires can be hard to move. This happens because of the rust inside. You can use something to push the tire off from behind towards the outer direction. As we’re dealing with a flat tire, there must be something in the tire that caused the puncture. Your job at this moment is to find that out. As an example, it can be a staple, a pin, a nailor something else which is sharp and metallic. Still, if you can see the leak, take help from the sound. Inflate the tire and try to hear some sound of air escaping. Lastly, there is another way to figure out the leak. You can use water and a pot to roll the tire through the water. This would definitely show up the escaping air, or the leak itself. But on a sudden roadside flat tire, you’ll not be that luck each time. A patch kit is something that helps you with plugs that seals flat tires. So, it’s a must-to-have in such situations. Take out the right size of the plug from the patch kit and plug that on the hole. Keep inserting it into the hole till you can see a 2 inches material. It will stick out from the tire. As done, wait for 10-20 minutes to let the adhesive dry out in the air. If there is any protruding excess portion of the plug right before you move to the next step. Now it’s time to check out your own work. Again, you have to go back to step 1. 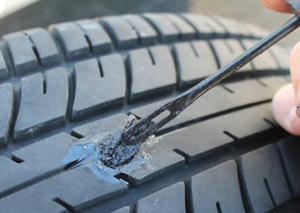 Look for any leaks or visible flaws on the plug that might lead to another flat tire. A better way is to look for sounds of air escaping out. And as said before, the water and pot method is the best way to find any possible flaw. If you don’t find any leak, you’re a lucky man. And I case you have a fault in the tire, go and repeat step 3 again. Congratulation, you’ve just repaired a flat tire and made it drive worthy again. Now the last task is to put it back on the rim. Reattach the lug nuts after putting the tire on the car frame. Now tighten the nuts up a bit just to make sure that that can hold the car in its position. Lower the car down with the lifter and make sure the car can stand on its four wheels. Now, tighten up the nuts again till they are tight enough as they were before. So, if everything went well, your car will be a ride on its four wheels again. But remember, the best choice is to drive the car to the nearest car repair shop. Here you should definitely replace the tire with a spare one. Trying to drive much on such patched tires can lead to even bigger accidents.